Music by fifteenth-century English composers has received intense scholarly scrutiny. English instrumental music of the same period has been largely ignored - but the royal court, the higher nobility, and cities in England were prodigious in their patronage of instrumentalists. Moreover, from the late fourteenth century onward British performers interacted constantly on equal footing with their Continental colleagues (particularly important was the contact between the courts of Edward IV and Charles the Bold of Burgundy). Striking features of English performers and their practices will be explored. The slide trumpet, for example, seems not to have been favored in British ensembles, and English chamber musicians appear to have been of equal stature to those in the courts Burgundy and Ferrara. The mid-fifteenth century was a key period in the transition of instrumental techniques and repertories. English instrumentalists participated in this transition to a far greater extent than has been recognized. The history of the cappella of St. Mark and of its instrumental ensemble during Giovanni Gabrieli's years there is generally well known to scholars but developments in the closing decades of the sixteenth century that were crucial in the transition of performance practices and repertory, have remained unclear. Key to understanding the musical practices in St. Mark's is the division of its musical forces between musica super organis and musica di cappella. This distinction was between on the one hand the vocal-instrumental or purely instrumental concerti that were performed on the organs' galleries, and, on the other, the properly liturgical music (masses and psalms) that were performed below in capella (generally on the two pulpits placed to the left and right sides of the inconostasi). The distinction, as will be shown here, involved matters of musical style and performance techniques. 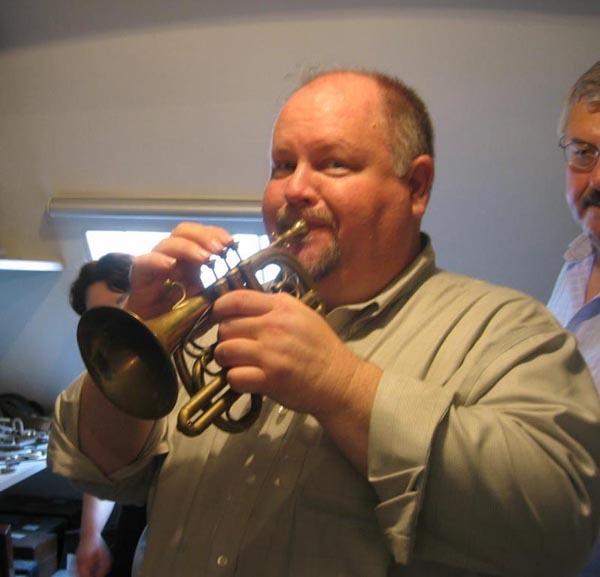 The history of the English slide trumpet from the late eighteenth through the nineteenth century has been the subject of several important studies in recent years. A conspicuous omission from this literature is a discussion of the music of Thomas Attwood. By the close of the eighteenth century, Attwood, whose father was a royal trumpeter, was at the forefront of London's musical life and one of its leading composers. This paper will examine Attwood's trumpet writing, focusing on two theatre overtures from the 1790 which survive in short score and include cues for trumpet. Although a reconstruction of the instrumental parts is partly conjectural, the melodic lines that appear to be assigned to the trumpet point to both overtures being intended for the slide trumpet. During the 19th century, the transition from the hand horn to the valve horn was a controversial process in the minds of many musicians. In the 20th century, society embraced a distinction between the standard "modern" valve horn and "historical"natural horns and, although some new music was written for the hand horn, it was not until the end of the century that György Ligeti created new sound spectra requiring the use of natural horns in the Hamburgisches Konzert. 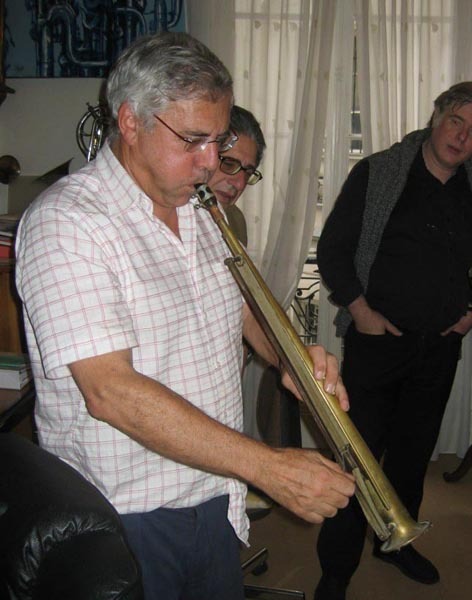 In previous decades, Ligeti had experimented with expanding performance practice on the modern horn, but it was surprising that in 1998 he demanded an new and extreme level of virtuosity on an historical instrument. In light of his 1982 Trio for Violin, Horn and Piano that in retrospect is an evolutionary predecessor to the Hamburgisches Konzert, it appears that the transition from hand horn to valve horn may be considered somehow incomplete. Amateur trombone playing is a relatively recent phenomenon: trombonists in church, court, and civic ensembles before 1800 were customarily paid for their services. By the late nineteenth century, however, there were thousands of amateur trombonists in brass bands in Europe and the United States. The earliest documentation of the systematic use of the instrument by amateurs comes from the Church of the Moravian Brethren in Germany and America, beginning in 1731, and the Reformed Churches of Switzerland, beginning a few years later. The two sects have similar theological roots and both used trombones to support congregational singing, yet there is no evidence of direct influence of either tradition on the other. My paper examines the role of the trombone in the religious and communal life of these two sects and their relationship to the amateur brass movement of the nineteenth century. Two lines of influence were important in trombone playing by about 1900: a conservative conservatoire tradition which sought to confer legitimacy on a limited and standard range of techniques, and a more innovative one in which instinctive and improvisatory styles were emerging from players working in popular idioms. The most important mediation between these two influences came from military musicians who were the most influential and the best paid, trained and organized brass playing professionals. 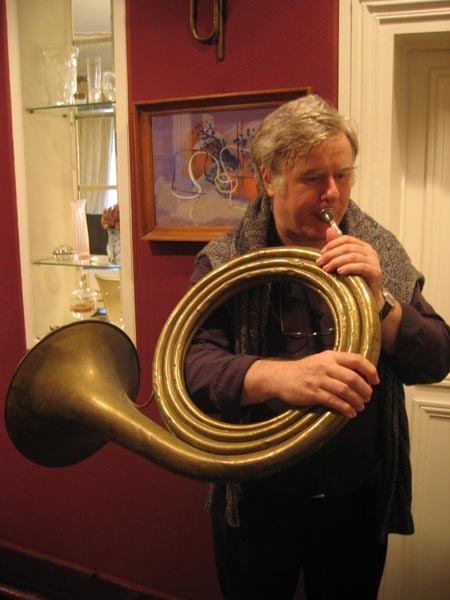 This paper will examine the way that these tributaries contributed to modern trombone technique and the aesthetic tensions that ensued during this process. The paper will draw on evidence from published and unpublished primary sources and from early sound recordings. The late eighteenth and first half of the nineteenth century was the most transitional period in the history of brass instruments, as "natural" instruments gave way to new mechanical instruments that redefined the role of brasses in both musical and social terms. First key mechanisms then valves were developed. The sense of experiment that characterized this transition is most apparent in instruments which combine both key and valve mechanisms. This paper will examine the reasons why such instruments were designed drawing on sources such as Allen Dodworth's Brass Band School (1853), surviving nineteenth-century trade books, such as account books of the Edinburgh retailers T and J Glen, and evidence yielded from surviving instruments. Musical consequences of these developments, such as new modes of virtuosity and the development of amateur brass bands will also be considered. Buddy Bolden, the New Orleans cornetist who may have invented jazz, was raised in the Baptist church. He surely learned a great deal from the black folk preachers who, like jazz artists in years to come, dropped "blue notes" into their sermons, improvised around their texts, and spoke musically with a deeply affecting rhythmic "groove." And they did it all with great volume. In addition, Buddy Bolden could not have created jazz with any instrument other than the cornet. As the loudest instrument in the band, it was destined to become a dominating solo voice. And American cornets of the late nineteenth century, with their fast piston-valves finally appropriated from European horns, made rapid runs and facile improvisation possible, even for musicians like Bolden who had no conservatory training. Allowing for the importance of strictly musical influences, jazz would not have evolved as it did without the black gospel preacher and the newly available valve cornets.